Even the taillights are intimidating. The electric Porsche Taycan (pronounced 'tie-kahn') onslaught is impending. The car is actually very close to production with a scheduled release of 2020 and an official unveiling later this year. The Taycan is more than just an electric sedan, it's the culmination of technology pursuits the iconic German sports car brand has been after for several years. 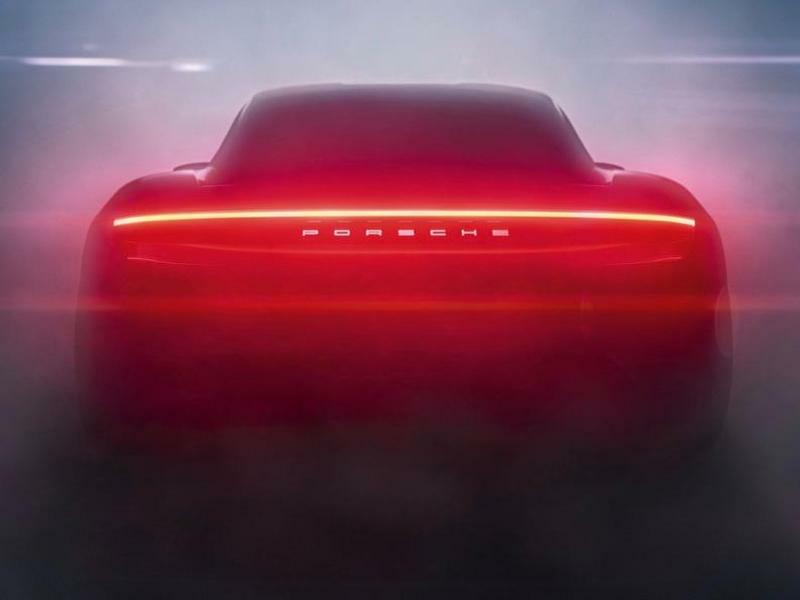 Moreover, the Taycan will usher in a new generation of electrification for Porsche as it prepares to unseat Tesla as the king of electric super-sedans. It's used hybrid power for its Cayenne SUV and Panamera sedan, as well as in the 918 hypercar, but the Taycan will be the brand's first truly original electric vehicle. The fact that a legendary sports car company is building a wholly new EV means the technology is here to stay, and everyone else in the exotic car market better get on board. It's adapt or die time. The Taycan in testing phase. Not sure why there are tailpipes on an EV. One of the biggest inconveniences of EVs is the time it takes to charge up. Supposedly, the Taycan will get 60 miles of all-electric driving in a mere four minutes and 248 miles in a scant fifteen minutes via 800 volt DC fast charging. What's more, Porsche recently announced that all Taycan buyers, regardless of trim level, would get the first three years of charging for free. The network of Electrify America fast chargers is going to expand, and the company is owned by Volkswagen, of which Porsche is a part. Porsche doesn't just want the Taycan to be a great performing electric sports car, they also want it to be convenient and fast to charge up, stating "Electrify America highway and metro stations, and many Porsche dealers will offer DC fast charging at rates up to 350 kilowatts. Using 800 volt technology and the combined charging system (CCS) plug, the Taycan will be able to add more than 60 miles of range in four minutes -- the fastest in today's automotive market." The test car looks like Panamera, but Porsche promises the final Taycan won't. Power in the three different trim levels are estimated at 402 hp, 536 hp, and 670 hp and range in proice from $86,000 to $104,000, which should be competitive with their biggest rival, the Tesla Model S ($76,000-$133,000). Many believed the Taycan would be the priciest car in the Porsche stable, but since Porsche wanted to dominate Tesla, the price had to come down. Though the most powerful Taycan probably won't be as fast to 60 mph (3.5 seconds) as the Tesla Model S P100D (2.4 seconds), it will still be faster than most sports cars on the road today. Though the top trim Taycan is rumored to be called the Taycan Turbo, we're not sure how that's going to work since you can't exactly turbocharge a non-combustion vehicle. Perhaps Porsche wants to use the Turbo label to indicate the most expensive version of the model, a la 911 Turbo, Panamera Turbo, Cayenne Turbo, and Macan Turbo. It's an odd move, but the news isn't 100% confirmed, anyway. When the Taycan started out back in 2015, it was called the Mission E. Clad in all white with huge wheels and suicide rear doors, it pretty much looked more futuristic than any Porsche to date, even more than the rapid 918. Though it looks like the production car will have essentially the same shape, photos of the Taycan in testing reveal less dramatic styling cues. Of course, we don't know exactly what the Taycan will look like in final production mode. The photos of the black car in testing from the Porsche website look nothing like the concept car (pictured above), but all that could change when the Taycan is revealed later this year. Whatever it looks like, Porsche is going to make Tesla very nervous, indeed, if they aren't already.